The islands were discovered in 1764 by John Byron. formerly known as the Lagoon Islands or the Ellice Islands, the islands comprising Tuvalu have been fully independent since October 1st 1978. The motto on Tuvalu's coat of arms is TUVALU MO TE ATUA. For many years they were part of the Gilbert and Ellice Islands, but there were continuing problems over racial and linguistic differences, and the Ellice Islands became Tuvalu in October 1975. Tuvalu means "nine islands". 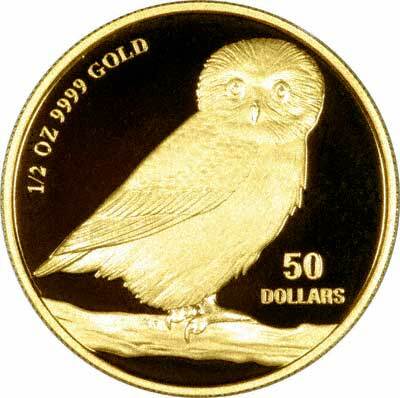 It has also issued a number of gold coins, and in 2005 it also issued its first gold bullion coins, featuring the Australian Barking Owl. These have their own separate page on this site, where we show their specifications, and a price indication. The obverse portrays the Raphael Maklouf effigy of Her Majesty Queen Elizabeth II. 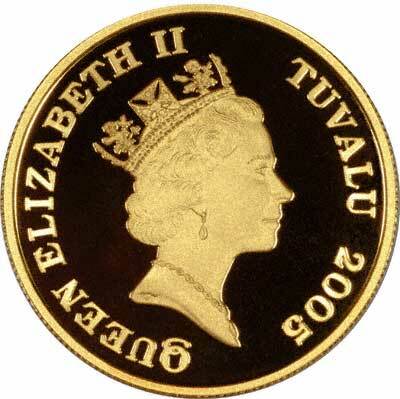 For silver and base metal coins of Tuvalu, please look at our original Chard Coins website.